If the projects I chose to undertake this past winter have taught me anything, it’s that shifting my focus from modifying my S13 to restoring the aging chassis is a shift in the right direction. 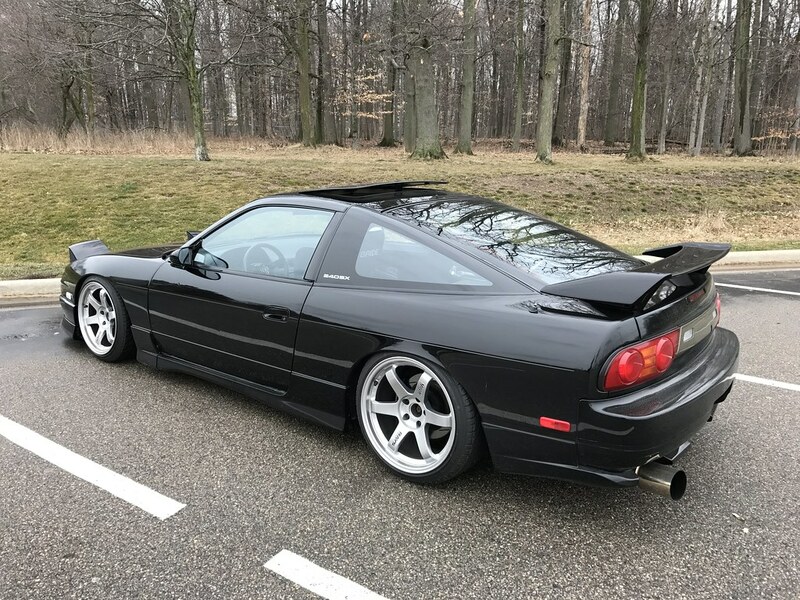 Lately I’ve found more enjoyment in scouring the ends of the internet looking for the necessary OEM Nissan components to bring my 25 year old S13 back to its former glory than I have trying to think of changes to make or aftermarket components to add. Maybe it’s just a reminder that I am getting a bit older, but preservation has become my top priority. Since my last update in late January, I have managed to get the car more or less buttoned up and enjoy driving it a bit as the spring weather has finally decided to arrive here in Michigan. After finishing the Dynamat install and HVAC install, I got the car put together and began driving it a bit in mid-March. I would typically not drive the car so early in the season, but having functioning heat has made cruising around much more bearable- as long as there isn’t too much salt on the roads. The Dynamat made a noticeable difference in all of the noise often associated with driving an S13. It’s still far from silent and I still have a lot of noises to track down eventually, but overall it was worth the extra effort and cost to install it. I’ve mostly been cruising around town locally as I am not away from my family that often and my commute to work is about a mile, but the car seems to be running well. I drove it out to visit my friend Tim about 1.5 hours away last month to check out his current S13 build- the first major drive of the season. On the way home I noticed a strange misfire that had me concerned, but a set of fresh spark plugs cured the issue. I’ve done a great deal of research over the last four months to begin to understand and track down items to hide away for when the day finally comes that I can repaint my car. Painting my car has been a goal of mine for nearly a decade, and unfortunately it’s not something that will likely happen in the next year or two- but it is going to happen at some point. Repainting this car is something that I would prefer to do only once in this lifetime, so I want to ensure that it happens when the timing is right and with an experienced painter that has a an eye for detail. It’s going to take a long while for all of the cards to fall into place, but it will be very rewarding when it finally does. In researching all of the components that were still available from Nissan and beginning to understand the scale of this undertaking, I decided to part ways with my Bride Maxis and Brix. I loved both of these seats, but they just didn’t really fit in with my current vision for the car. The market value for older Bride seats has also become pretty favorable to the seller, so it made sense to part ways with them to get the ball rolling on my restoration. I sold both to good homes and began ordering replacement moldings and weather stripping for the car. I’ve since replaced them with another set of complete front and rear kouki 180SX seats from my friend Liam in Canada- more on that in a future post. I’ve managed to source a good amount of the items I would like to replace after the car is painted but still have more to collect. It has been a painstaking process to hunt down part numbers and stock for so many individual components, but it’s pretty exciting when each new discovery is made. I’ve always been one to enjoy the process (sometimes more than the end result) so it has been a lot of fun for me. I’ve been documenting the whole process but have been torn on how much information I want to share. It’s a difficult position to be in at times as I truly love these cars and want to ensure that the community around them remains intact, but I also feel that there aren’t many people left with the same passion for the S13. I am growing older and the world around me is evolving, sometimes in a way that makes me feel like an old man. In a sea of YouTube and Instagram hopefuls, it’s easy to feel like a lot of people aren’t in it for the right reasons anymore. While this might not be the case, I am hoping to pull away from the social media aspect of the scene a bit in the months ahead and focus my efforts on what I have enjoyed the most all along- writing and documenting my build progress here, on a blog/build thread hybrid sort of platform. The audience will be much smaller but I think it might be much more rewarding for me on a personal level. Quick Sidenote: I suppose that I should note that the whole YouTuber thing isn’t necessarily bad- it’s just different than what I grew up around- and different can sometimes be frustrating. There is definitely value in it as well as things like Facebook and Instagram, I’m just feeling a push to distance myself from it right now if I can. There’s no denying that Instagram has been instrumental in helping me find and sell parts, as well as answers to questions I have had for people in the Nissan community. It is definitely a force that can be used for good- I just believe strongly in the written word and putting forth a bit more effort by documenting my car in a build thread as opposed to quick posts on social media that will likely someday be lost. It’s easy to want to hoard all of the information and part numbers I have gathered. I spent the time and put forth the effort to find all of this information, so why should I spoon feed it to others? This is a dangerous mentality to develop. At the end of the day all of the info I have gathered is available here on the internet, it just takes time and patience to find it all and execute on it. I’ve always tried to help anyone that reaches out to me with questions about these cars over the years as I feel it is the best thing for this community, so why stop now? Sure, it can be tiring to answer the same questions from time to time, but I’m sure I would not know nearly what I do now about this chassis without the people that were willing to help me along the way. That being said, hopefully there’s interest in the journey I am about to embark on- but at the end of the day, my goal is to do it purely for personal satisfaction. My hope is to update the site every Friday with new information as I find it, I just need to think of the best way to organize the content in a manner that makes sense and ensures it is as organized as possible for future reference. 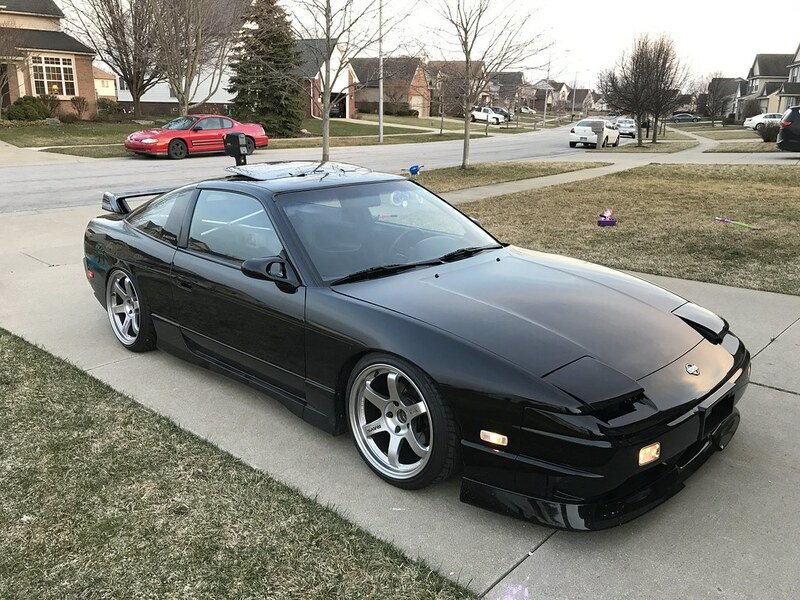 I hope to create something of value for the people out there that love the S13 chassis as much as I do and help to preserve them for future enthusiasts to enjoy and appreciate. Thanks for sticking around through this rambling post. Looking forward to getting back in the swing of this if I can! As both an S13 fan, and an owner of a tired 90’s Nissan I look forward to reading about the next stage of this car. I think that Facebook, Instagram and Youtube all have their place but I much prefer the forum and blog format for things like this. Thanks for the support! I clearly feel the same way. They are excellent tools and I don’t really want to knock anything else people out there are doing (especially if they are doing it for the good of the community.) I think this is just the most effective method for me to utilize to contribute something. I appreciate you checking it out! Always been a fan of your blog. I agree with you when it comes to the social media subculture and it’s evolution with the automotive scene. I remember your days back on Xceedspeed and would follow your builds closely. This blog is the perfect for me being the 30ish year old with my Hondas that I’m chasing a restore on, I love to read through your journey. Appreciate the kind words! Glad I am not the only one that shares this sentiment. Appreciate the support over the years! Dang, thank you sir. Appreciate the love.